As an Android smartphone user, I am always looking to use my device to gamble online. Because I am an American, this has not been made into the easiest process. Betting sports has always been easier than finding a good mobile casino, as it is substantially less involved and does not require the phone to process any motion or gameplay. 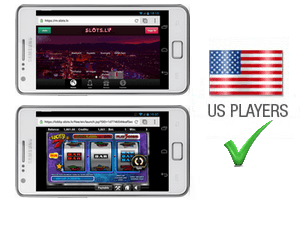 Thankfully, US friendly casinos have seemingly gotten on board with smartphone gaming in recent times, and Slots.lv is a good example of just how good Internet gambling can be on an Android smartphone. Why? Read on to find out. Heading over to Slots.lv on my phone, I was met with a site that morphed perfectly into my Droid DNA’s screen. I ended up registering for an account at the casino via my phone, and found the process to be as smooth as butter. While it did take me a minute more than using a PC, I had no issues with entering accurate information and getting myself going quickly. After getting my account set up, I ended up having to use the mobile site’s cashier to put money in for real money play. Deposit options are a bit limited for my taste, but seeing as how Slots.lv accepts American action, I can tolerate this. I put money in using my Visa card on my phone, but MasterCard, Bitcoin, and Amex were also available. There were no issues for me depositing on my phone, as my card was accepted and my balance credited just as quickly as anything I have seen on my PC. I really liked the fact that I could get a PC sized deposit bonus on my Android. When I put my money in, I was able to claim a nice 100% deposit bonus, which doubled my bankroll. 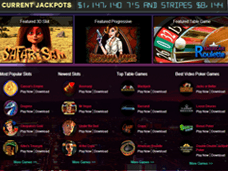 The bonus was good and the 25x rollover is among the best I have ever seen at an online casino. This is definitely a bonus that you should seek if you are looking to game at an online casino, whether you use an Android or not! One thing that can be said about Slots.lv is that it does not have the biggest Android library. While I also like seeing a large amount of games on my mobile devices, I respect the fact that Slots.lv only included games that translate well to my phone. Games included in the Slots.lv mobile library include BetSoft 3D slots such as Mr. Vegas, and Slotfather, which are some of the best mobile titles my thumbs have ever touched. I ended up racking up huge wins repeatedly on Mr. Vegas, and while I know this isn’t a common occurrence, I sure felt like this game would make me a millionaire if I kept playing. Table games are also limited, but the blackjack and roulette offerings were great and kept me entertained for quite some time. Like deposits, withdrawals at Slots.lv were a bit limited but very functional in my view. I ended up opting to pull roughly $300 out through a courier check, but also had the ability to use Money Transfer or Rapid Transfer. After submitting my identity documents to Slots.lv, my check took roughly two weeks to arrive to me personally. The longer period of waiting is okay with me, but may frustrate others who wish for faster transactions. This is where Rapid Transfer comes into play. Customer service during my withdrawal process was great. The staff at Slots.lv was always very polite and willing to look into my payment process in order to give me status updates. I appreciate this level of service and think that it helps separate the good and great casinos out there. 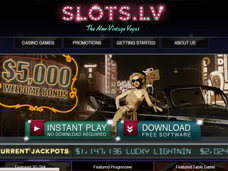 Overall, I feel that Slots.lv is a very good Android casino that offers a small but optimized mobile experience, great bonuses, and fantastic customer service. If I were to pick a negative for this wonderful casino, it would be the limited banking options (even though offering American action restricts a casino’s options).